South Jordan, UT, and Boston, MA – CallTower, a global leader in delivering cloud-based enterprise-class unified communications and collaboration solutions, announced today their new CT Cloud Voice and SIP solutions. CT Cloud solutions are designed to enable workforces to connect through our private cloud delivering a scalable and secure, quality voice solution that is far superior to traditional PBX systems, at a fraction of the cost. CT Cloud brings together powerful cloud PBX, UC and collaboration features in one platform that's connected to CallTower’s secure, geo-redundant global network and supported by award-winning US-based customer support. With customers and employees interacting through the CT Cloud, enterprises can now easily optimize workforce engagement throughout multiple locations. The results include faster time to resolution, lower cost and better overall experience for customers and employees. “We are thrilled to unveil our CT Cloud Solutions,” says Chief Revenue Officer, William Rubio. 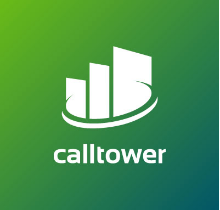 “Delivering an exceptional customer experience is key to CallTower. With this cost-effective business communications and collaboration solution, we offer more than a VoIP phone service or traditional PBX. CT Cloud delivers unified voice, video, conferencing, messaging and collaboration, SMS, contact center and mobility, plus more."